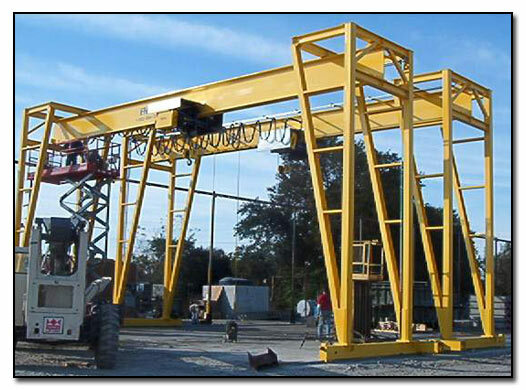 In addition to the 100 smaller cranes and runway systems we build each year, the following lists a few of the larger or more complex projects we have designed and built. 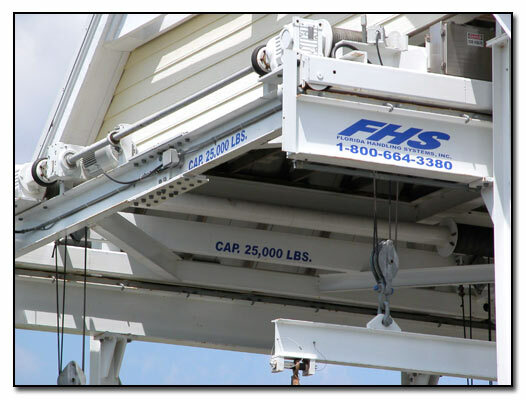 Each of these customers would provide a whole-hearted recommendation of EFI's quality and performance. 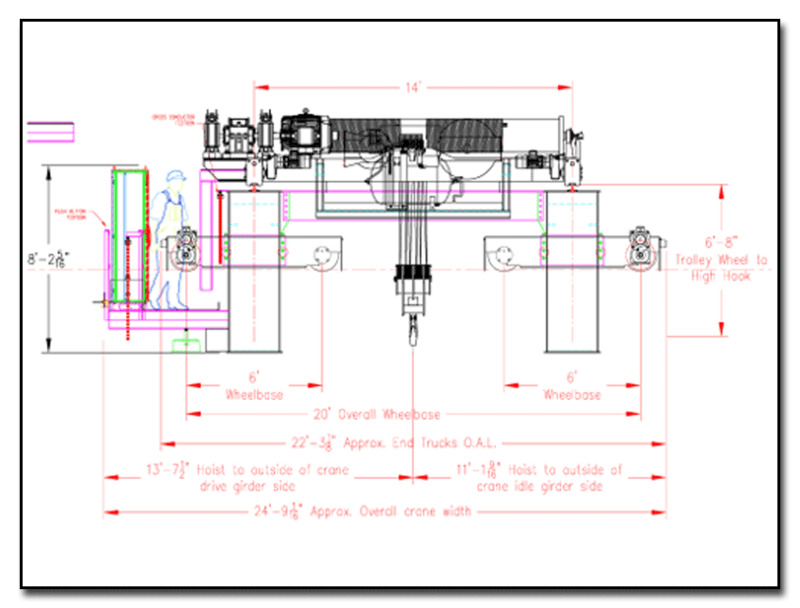 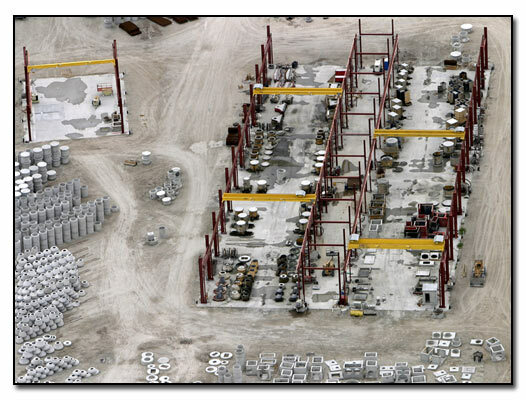 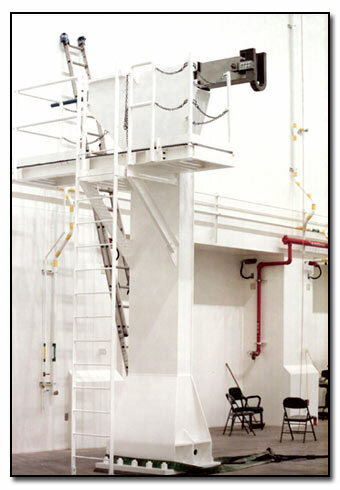 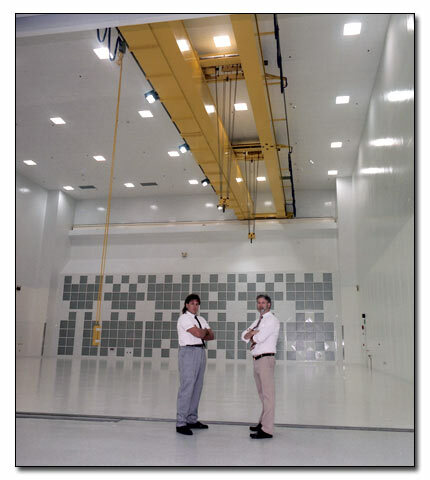 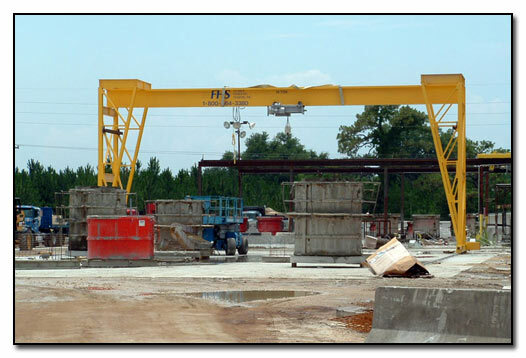 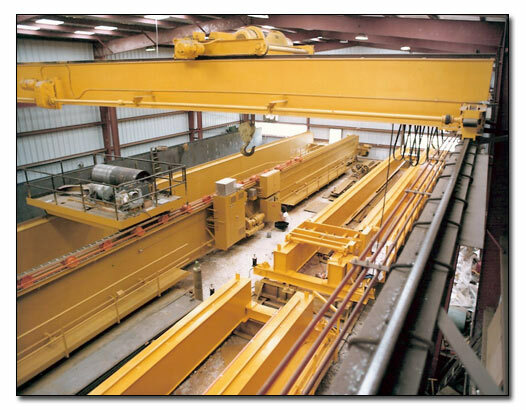 EFI’s Engineers and Draftsmen take pride in what they do; from smaller cranes to the largest of cranes we build. 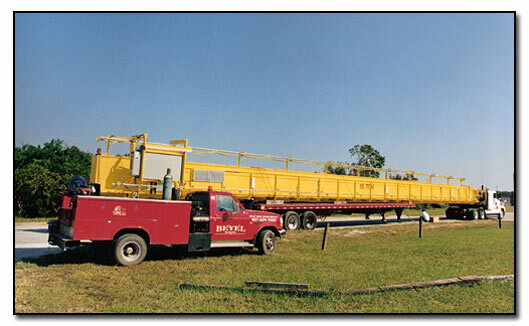 Every client of ours deserves the very best we have to offer. 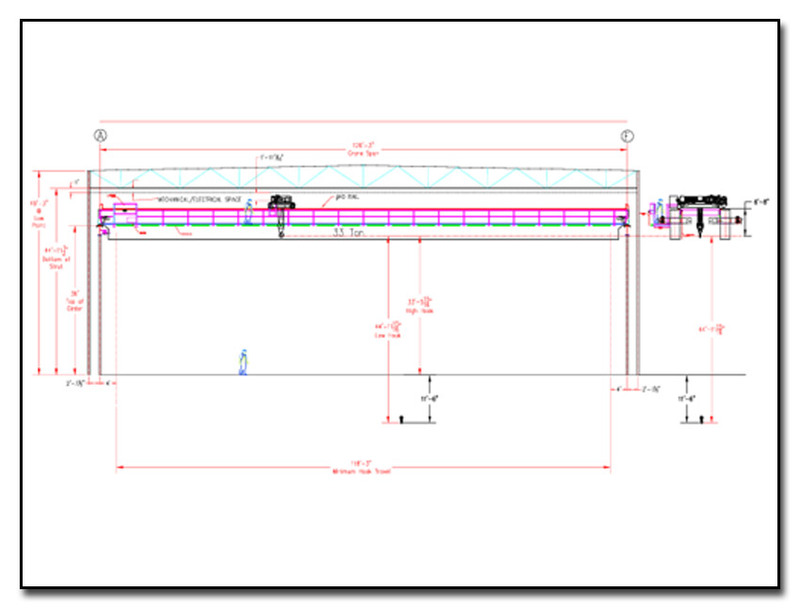 Clean presentation, clear and informative call outs, revision accuracy and verification, maintaining the latest set of plans and communicating with all parties are some of the necessary procedures of our Design & Engineering staff. 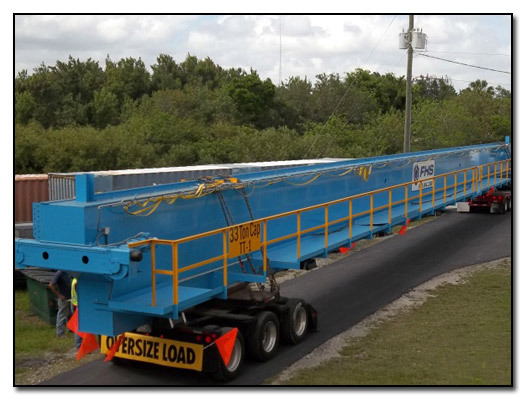 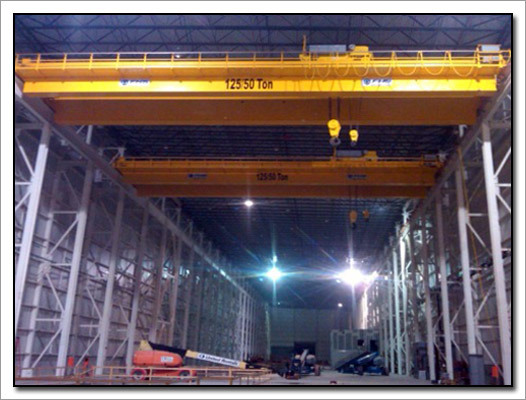 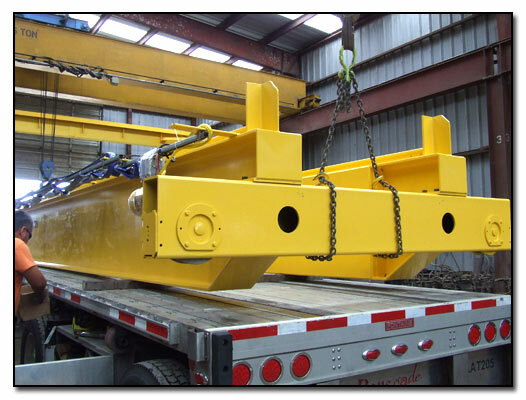 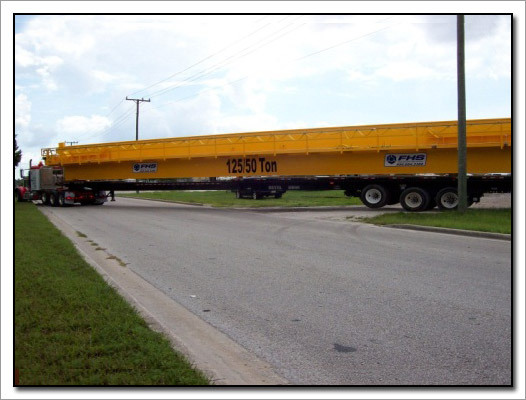 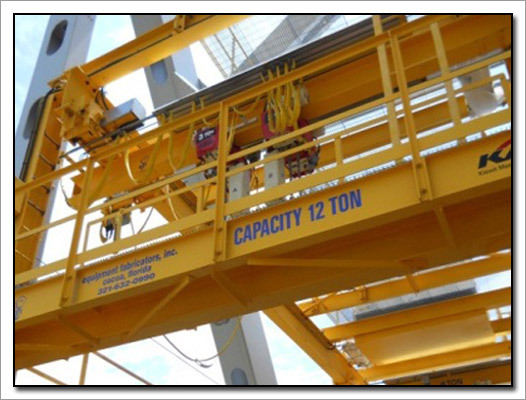 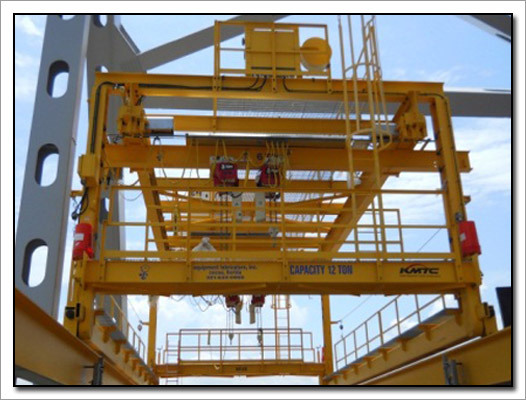 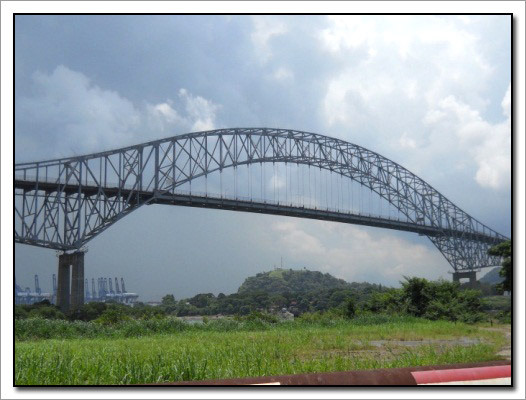 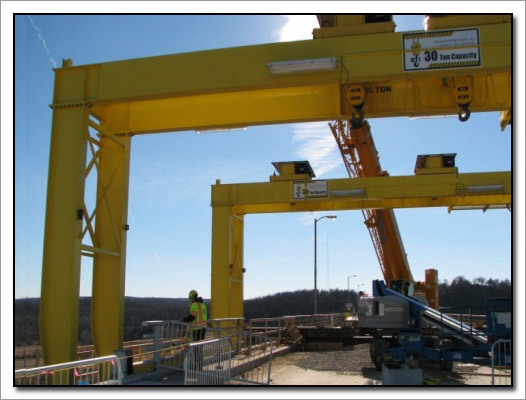 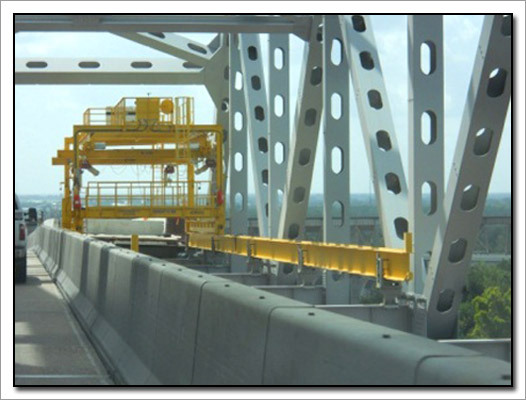 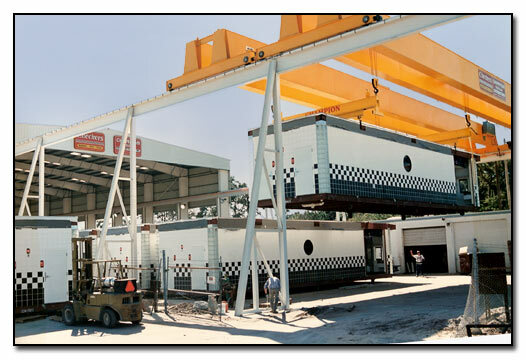 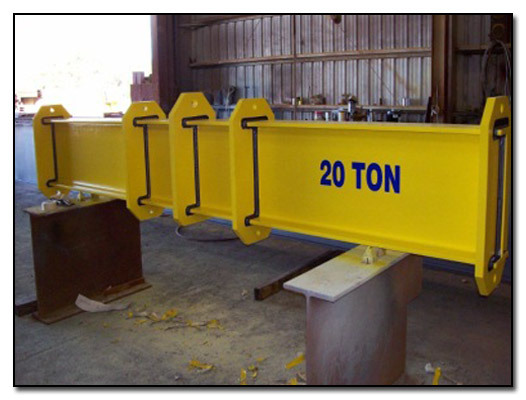 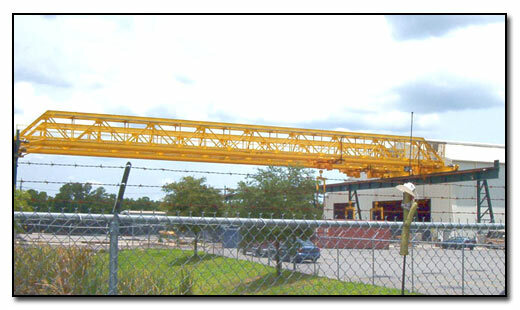 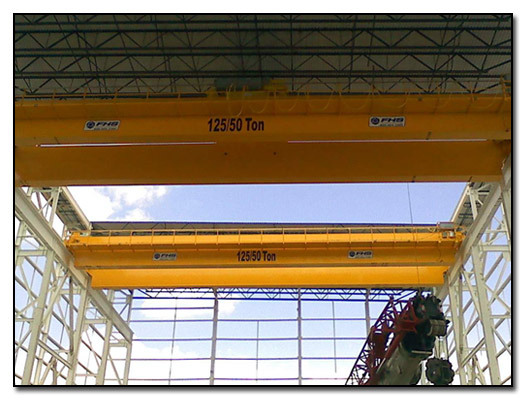 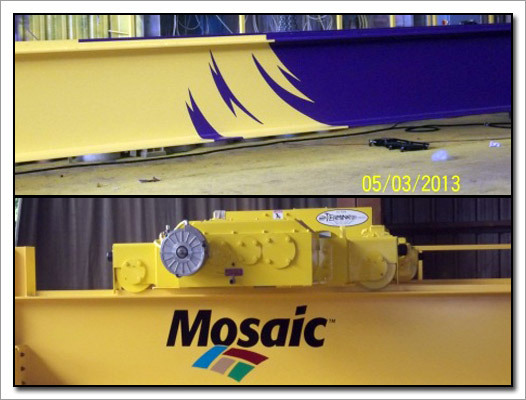 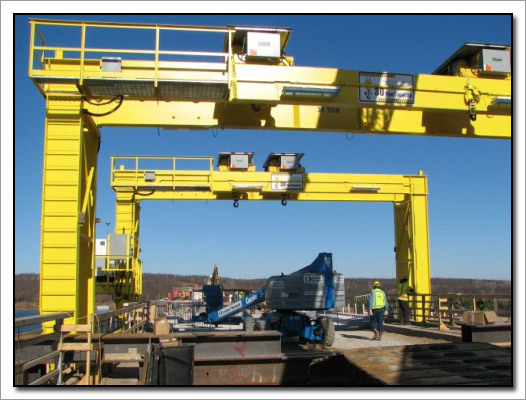 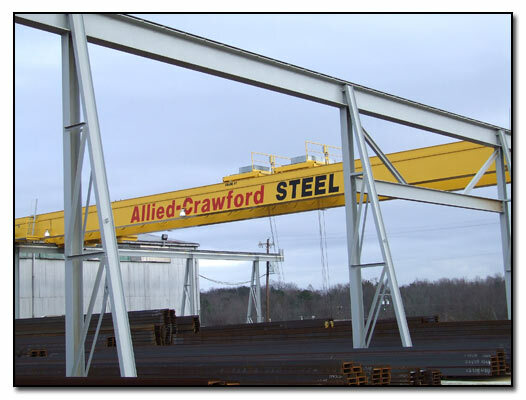 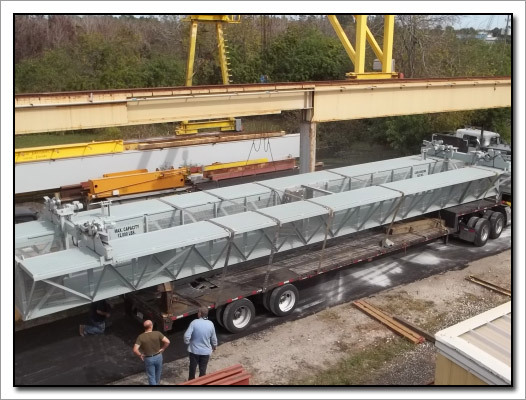 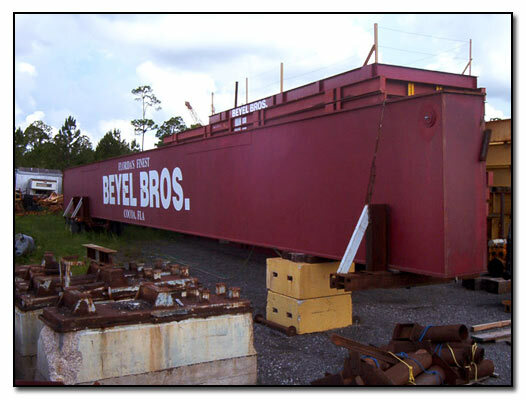 Equipment Description: 125 ton capacity, 92’ span, DBL Girder, Class C cranes are used to assemble, lift and transport 500,000 lbs. 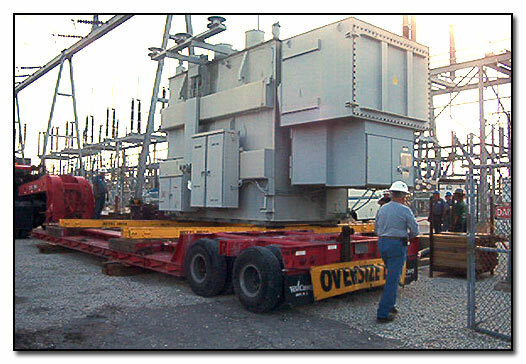 generators. 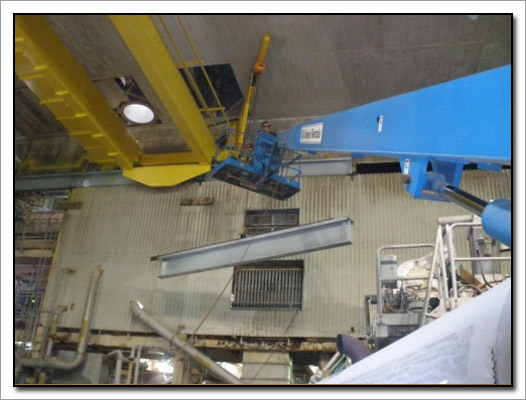 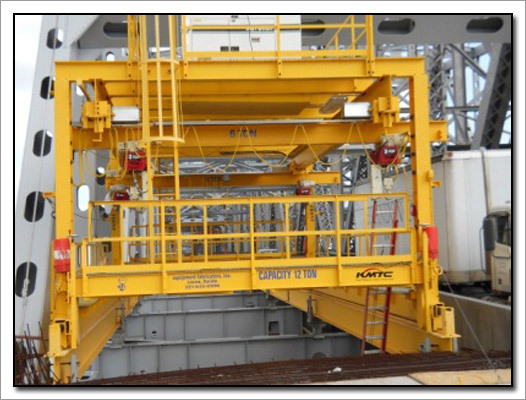 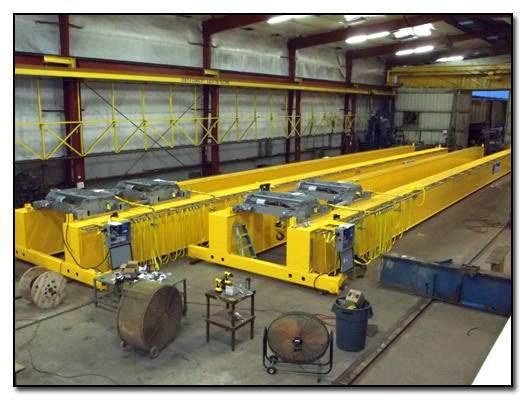 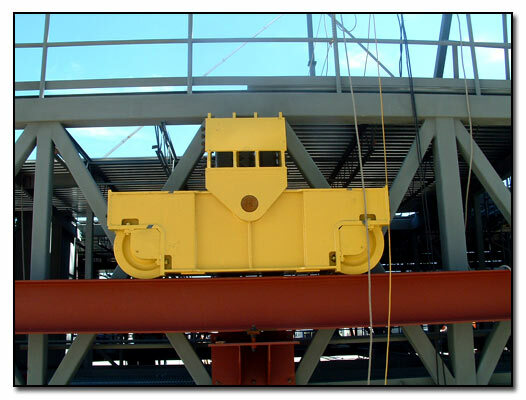 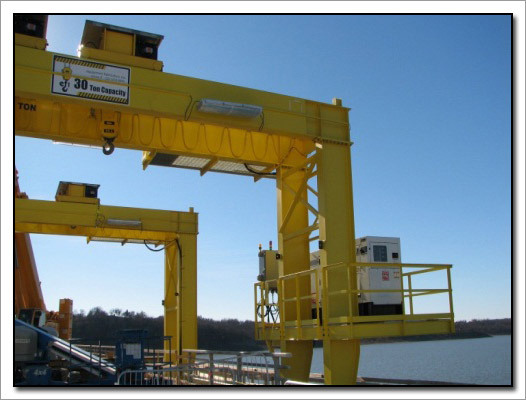 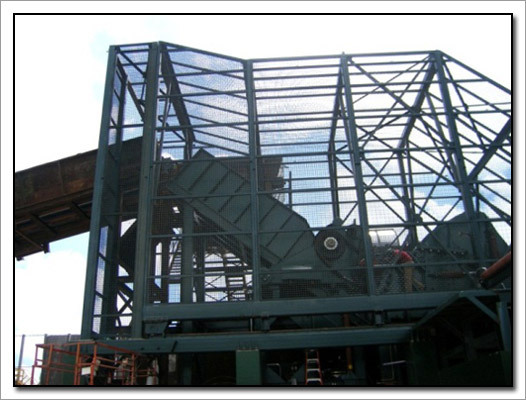 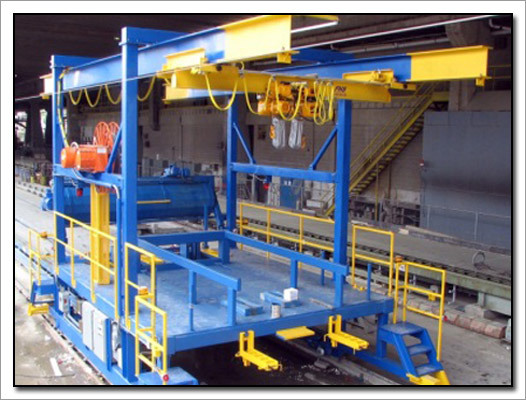 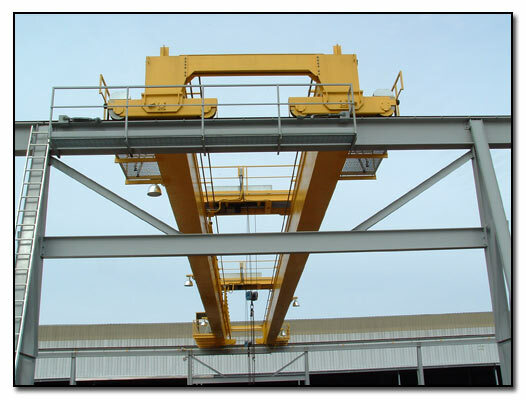 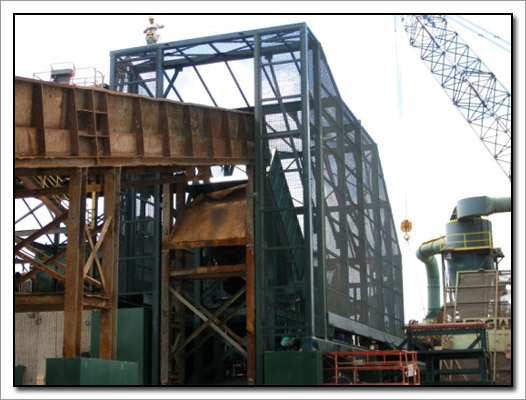 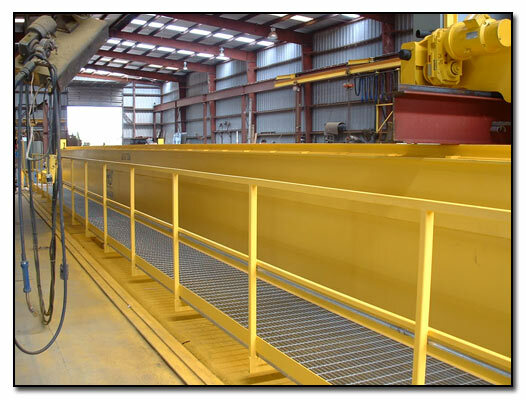 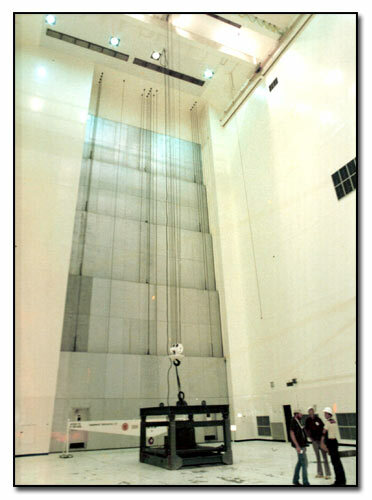 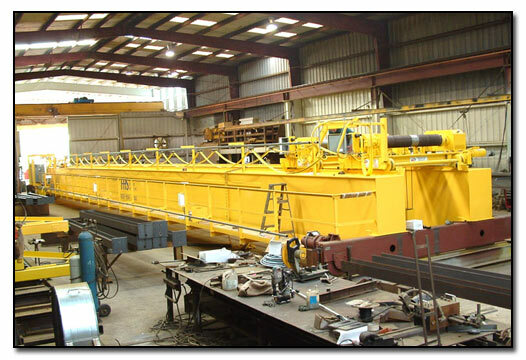 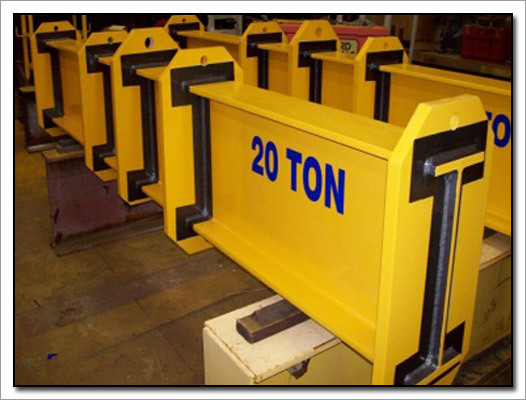 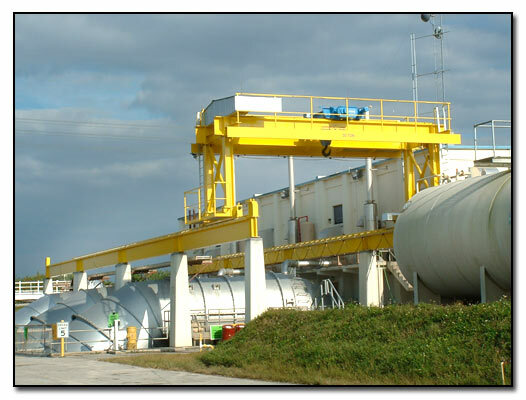 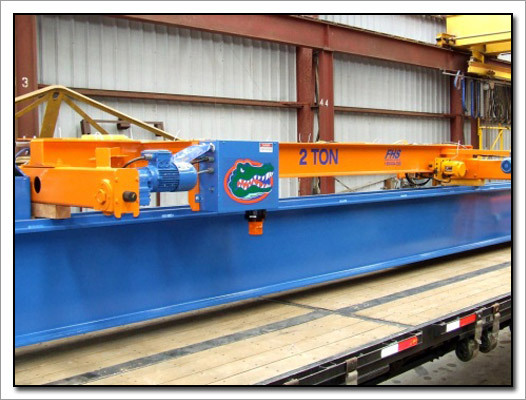 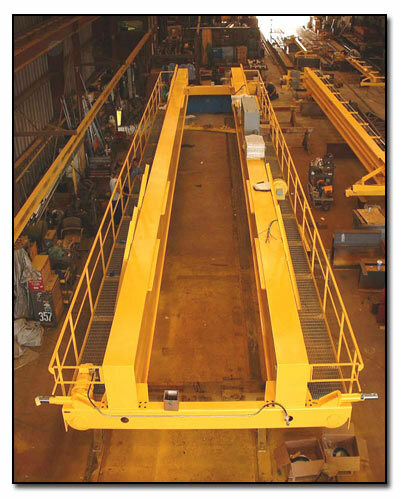 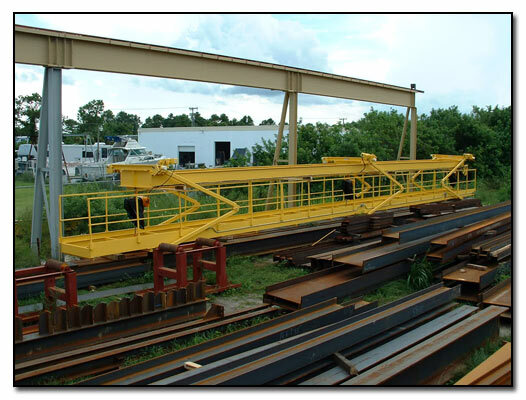 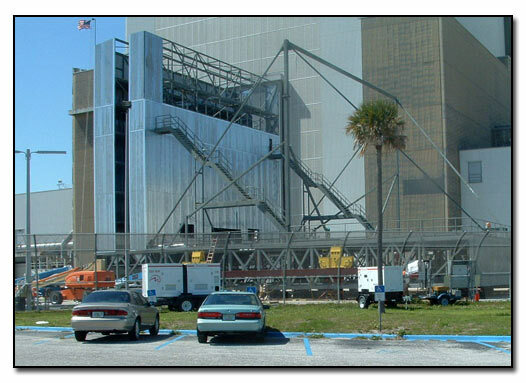 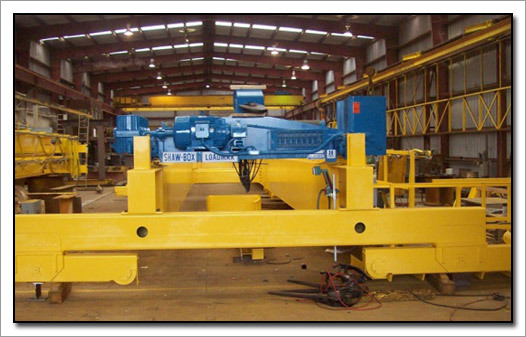 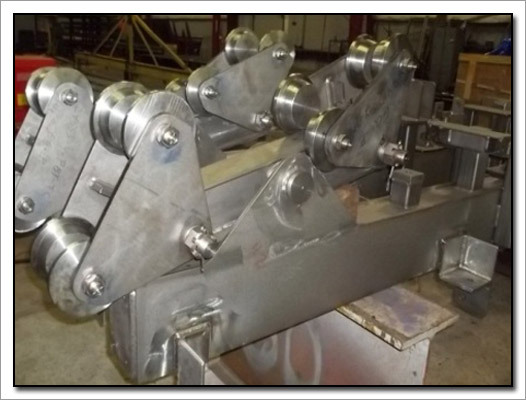 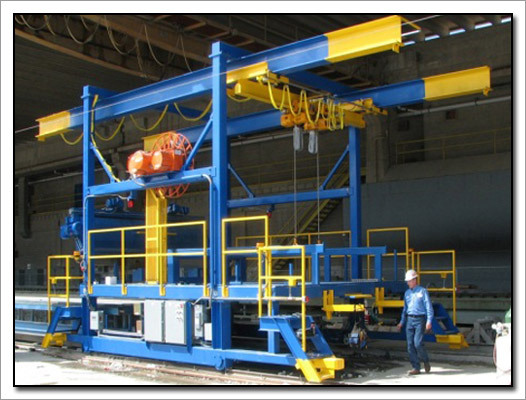 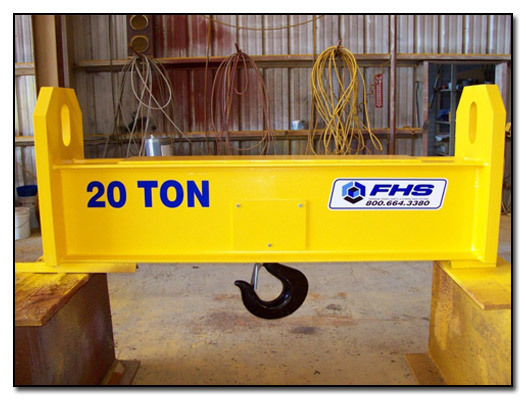 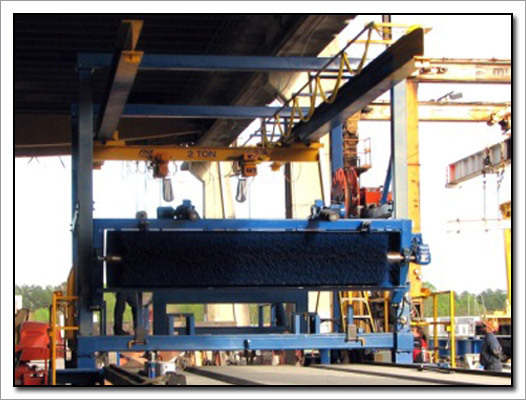 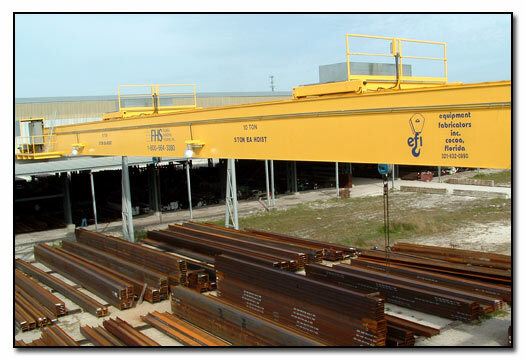 Equipment Description: 25 ton capacity x 45' class D coil handling double girder crane replacing old damaged crane. 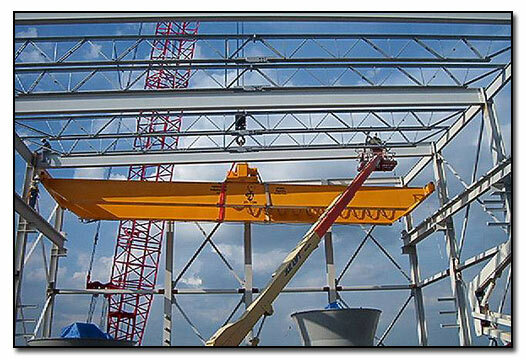 EFI built crane in only 10 days. 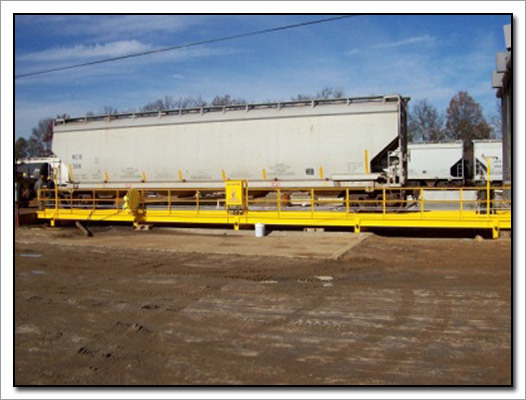 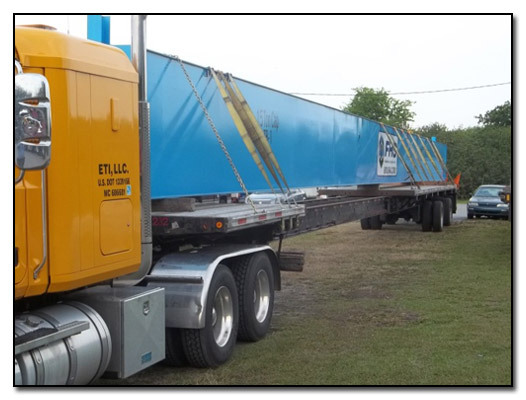 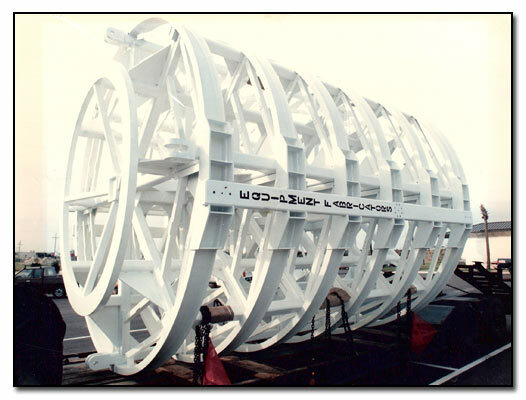 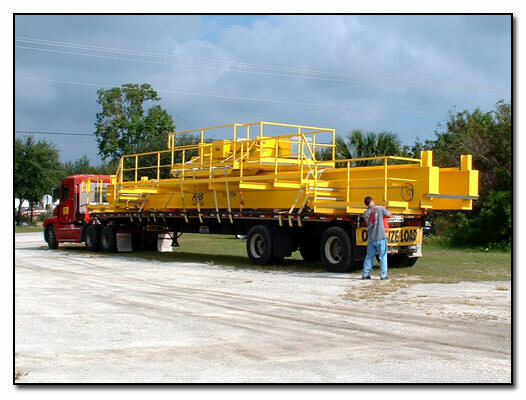 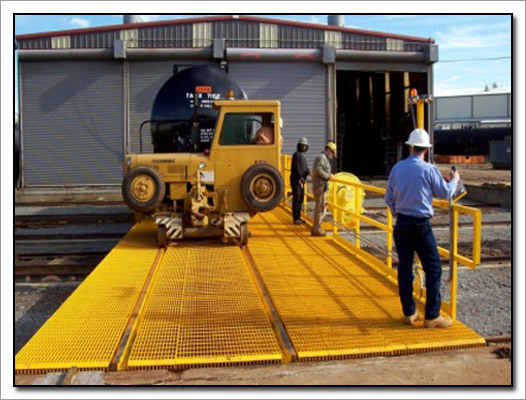 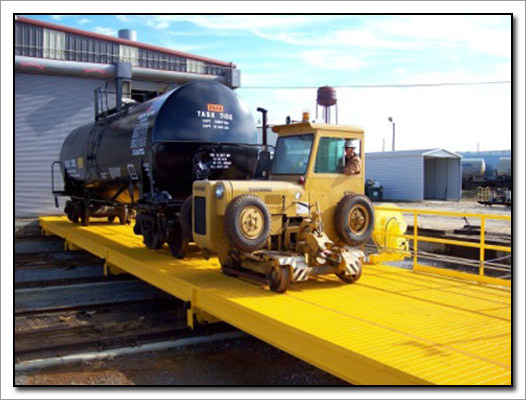 Equipment Description: 10 ton capacity, 130' span, outdoor, high speed, heavy Class D service - included 360' runway system w/ A-frame columns. 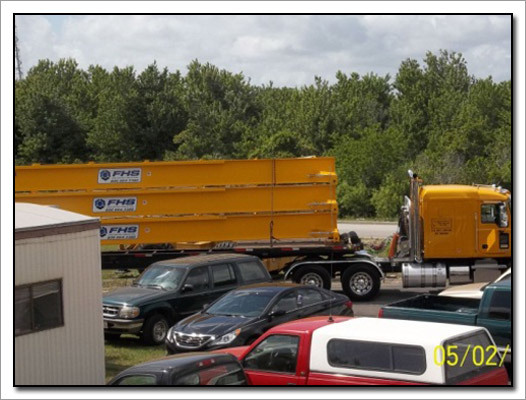 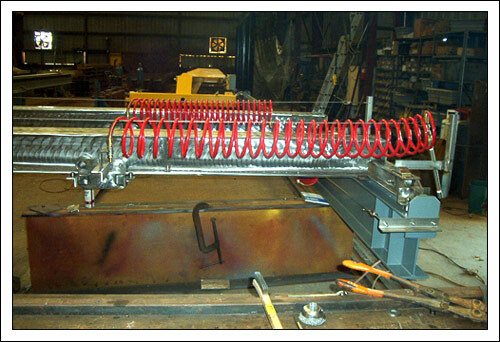 Copyright © 2007 - 2015 Equipment Fabricators, Inc.